"The two bears ... are visibly starving to death." Earlier this month, a rescue team with Four Paws International set out to attend to six privately owned bears who needed medical care. But midway through their mission, the team found two animals who needed their help even more desperately. 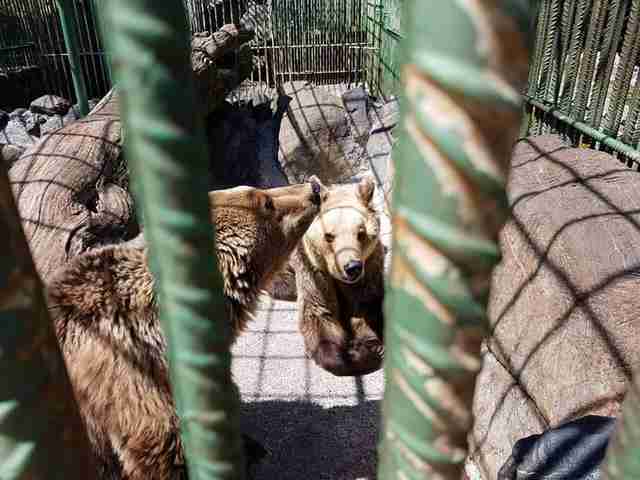 Henk, a male, and Eso, a female, were being kept as a tourist attraction in a small cage near a hotel in Puke, Albania. Unfortunately, their owner had fallen on hard times - which meant no food for the 3-year-old bear couple. "The sight was horrible," the rescue team later wrote in a Facebook post. "The two bears ... are visibly starving to death - as you can clearly see in the photos." Claire LaFrance, communications director for Four Paws USA, told The Dodo that the bears were severely emaciated. "[They] would almost certainly have starved to death without an urgent intervention," she said. Fortunately, they had been found by the perfect people. A member of Four Paws' bear sanctuary in Kosovo loaded up a car with supplies and drove all day to bring the bears some much-needed food. 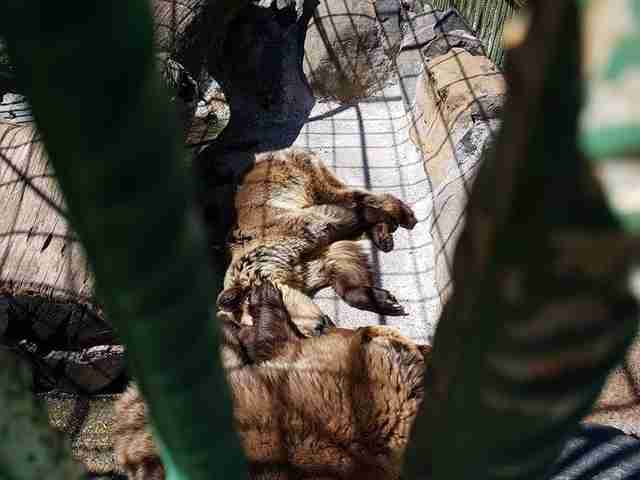 "When we arrived at their cage, we could hardly see them," Four Paws wrote. "Both bears were lying close by each other. It was obvious that they were apathic and powerless." The team quickly began to cut up the food to fit it through the cage's tiny bars - with the bears calling out painfully behind them. "Afrim [manager of Bear Sanctuary Prishtina] ... has never met bears that were so desperately waiting for food," Four Paws said. "Them wailing for food is almost impossible to stand." The bears quickly gobbled up the food. With their stomachs finally full, the transformation was immediate. "After receiving fresh fruit, veggies and other delicates they immediately looked more fit and vivid," Four Paws said. Unfortunately, these bears' fate isn't unusual for Albania. 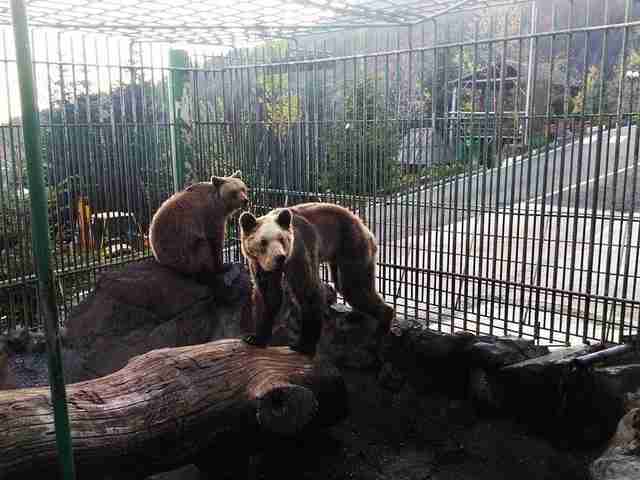 There are around 50 bears kept in similar conditions throughout the country, either in roadside zoos or as tourist attractions. Four Paws, which has spent years campaigning to free them, has dubbed them "the saddest bears in Europe." "The story of Henk and Eso is not dissimilar to many of the bears being kept as pets in Albania," LaFrance said. Just this past year, Four Paws rescued a trio of bears who were living off beer and bread in various states of abuse, as well as a female named Jeta who was forced to pose with tourists for selfies - she was controlled by a heavy chain that had been attached to a wound in her nose. Henk and Eso are now one step closer to achieving the same freedom Four Paws' other rescued bears have - because their story is finally known. Four Paws is working with local NGOs and vets to ensure the bears are fed regularly while the organization figures out what the future looks like for the young bears. 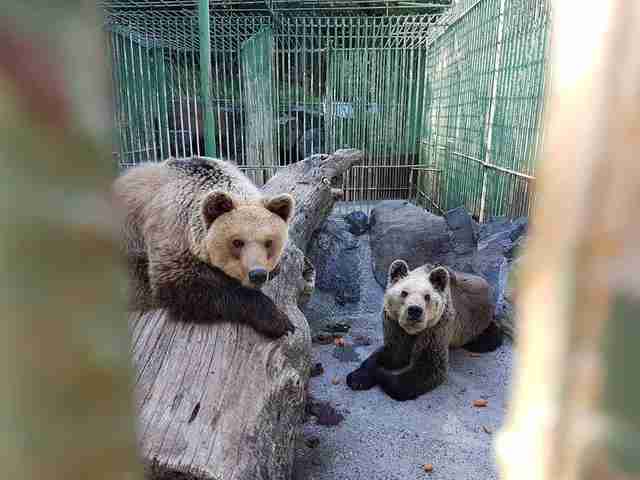 "We are now trying to find a sustainable long-term solution for Henk and Eso and rehome them somewhere safe," LaFrance explained, noting that the group hopes to work with Henk and Eso's owner, as well as local authorities, to help the bears find a sanctuary. But while the process ahead is still uncertain, the team is staying motivated by remembering the bears' grateful response to their first feeding. "This was a very touching moment," Four Paws wrote about seeing the bears being fed for the first time. "Both animals must have suffered severely from starvation in these last couple of weeks." "[But] for now, Eso and Henk are saved," the group added. Henk and Eso's rescue will likely be a months-long process, and the bears are depending on donations to be fed in the meantime. 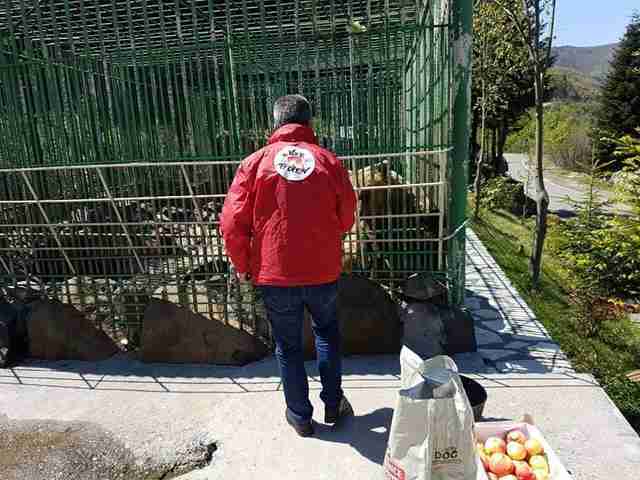 If you'd like to help support the feeding and rescue efforts, you can make a donation through Four Paws USA (European donors can contribute through Four Paws International and select "Bears in Albania" as their reason to donate). You can also sign a petition calling for a ban on bear-keeping in Albania.